Thirteen years ago, Earth Force—a space-military agency—discovered a connection between brain structure and space travel. Now they’ve brought together a team of cadets, called Bounders, to be trained as elite astronauts able to pilot ships that can travel across the galaxy in an instant. Jasper Adams can’t wait to join the first class of Bounders, but when he arrives at the space station, nothing is as it seems. Security is sky-high, and Jasper and his new friends soon realize that Earth Force has been keeping secrets—one of the biggest being a powerful, highly-classified technology that allows the Bounders to teleport through space without a ship. Only Bounders can use this tech, which leads Jasper to a sinister truth—humanity is facing a threat greater than any they’ve ever known, and Bounders are the ones standing between their planet and destruction. Will Jasper and his friends rebel against Earth Force for hiding the truth, or fulfill their duty and fight for their planet? The fate of Earth may rest on their choice. I KNOW IT’S RUDE TO STARE. How many times has Mom told me that? A million? But I’ve never seen an alien before. Not up close, at least. Sure, we’ve all seen the Global Geographic specials that air on the webs in a constant loop, 24-7. Anyone who hasn’t seen pics and vids of the Tunnelers must have been hiding out in a dingy hover garage for the last twenty years. But there he is. Sitting across from me on the air rail car. Me, Jasper Adams, riding the rails with an alien—a real live Tunneler—on my way home from school. It must be a sign. I mean, what are the odds I’d have a close encounter with an alien the day before I ship out to the space station? The alien’s lips pucker in a perfect circle and then whip back. A snarl bubbles out of his throat. Errr. Arrr. Kleek. Kleek. Arrr. Kit. Ahhh. I spin around in my seat, looking for its source. That must mean it’s okay to look. The alien is small. It’s not like I’m one of the short kids, but I’m not that big for twelve, either. And I’m a lot taller than the alien. He has a long, rodentlike snout, bristly brown hair sprouting from every patch of skin, and is wearing dark glasses that curve around on the sides. The light probably bugs him, since Tunnelers live underground. He’s wearing the standard officer’s uniform—gray jumpsuit with slanted orange lettering: EF for Earth Force. Soon I’ll be suiting up in my own Earth Force uniform. I leave for the space station in the morning. Maybe the alien will be on my flight. “Do you work at the space station?” I ask. He’s here to help out for the Academy? Maybe I should tell him I’m a Bounder. I’ve never told anyone in my life. I mean, my parents know. And Addy knows, of course. She’s a Bounder, too. And all the doctors and scientists who I visit every year for testing know. But I’ve never told anyone. I’m not supposed to tell anyone. Mom has seared that into my brain. She won’t care if I tell the alien, though. I’ll probably see him at the space station. Plus, tomorrow the whole world will know anyway. “See ya.” I missed my chance to tell him. Oh well. I scoot across the aisle to grab his window seat, and press my hand against the glass. Out the window, beyond the two hundred blocks of skyscrapers webbed together by the air rail, I glimpse the edge of the retaining wall. On the other side of that wall is the ocean. And ten miles out to sea is the Earth Force Aeronautical Port. Tomorrow I’ll board a passenger craft headed to the EarthBound Academy with the other Bounders. I’ll finally be with kids like me. I won’t feel like the alien on the air rail anymore. Mom and Dad wanted Addy and me to grow up without the Bounder badge slapped across our chests, to lead a normal life. I might be clueless sometimes, but it’s not like I don’t know Bounders equal “not normal.” Bounders are so weird, scientists basically bred our genes out of the population decades ago. Kids like me were “undesirable”—whatever that means. From what I can tell, it just means different. Or, okay, I guess different with a few challenges. So I’ve spent my whole life—all twelve years of it—trying hard to act normal. Not like a B-wad. But Mom and Dad don’t get that I wear the Bounder badge whether I tell or not. And it’s not all bad. I mean, being a Bounder means going into space. How cool is that? Scientists discovered people with genes like mine have the best brains for quantum space travel, or bounding, as everyone calls it. Even though the aeronauts have been piloting the quantum ships for years, they’re still not as good as they say the Bounders will be. That’s why they bred us. That’s why I was born. The air rail jerks to a stop at the next platform, right in front of a wall-size billboard of the Paleo Planet. The huge landscape looks eerily like early Earth. Herds of mammothlike mammals range on fields bordered by spiky mountain peaks. Trips to the planet are supposed to start this summer as part of Earth Force’s new tourism plan. But lucky for me, a field trip to the Paleo Planet is the final event of the first Bounder tour of duty. In six weeks I’ll be right there, strolling through the high grass, hanging with the wildeboars. I lean my head against the window and fix my gaze on the ocean. The skyscrapers blur together as we race by, and my mind drifts a whole day into the future. I’m standing on the aeroport flight deck with my family, watching the passenger craft lower slowly down in a straight vertical line. Smoke billows up in big shoots from its two front engines. Then the ramp lowers and Admiral Eames descends. She crosses directly to me with an outstretched hand. Welcome to the EarthBound Academy, Jasper. I spin around in my seat. Two kids from class stand in front of me—Dilly Epstein and Will Stevens. That’s weird. I didn’t even know they were on the rail. My mind feels cluttered. Part of me is still thinking about Admiral Eames and the EarthBound Academy; the other part is trying to process what Dilly said. Oh no, not again. Now I’ll have to transfer to an inbound rail, which means I’ll be super late. As I jump out of my seat, half the stuff in my backpack scatters across the floor. I must’ve left it unzipped. Again. Am I supposed to answer that? Dilly crouches and helps me gather my things. When she passes me my clarinet case, Will bursts out laughing. Dilly lifts her eyes to mine. I dive beneath the bench to retrieve an Evolution figure that escaped my bag. Why can’t I just look at her? Say something normal for once. “B-wad,” Will mumbles as he steps out of the rail car. Shut up, Will. I want to yell, scream, get in his face. But he’s gone. Dilly slips between the doors as they close. I probably should’ve said thanks. When they hear I’m headed to the EarthBound Academy, they’ll understand. They’ll know why I’m such a spaced-out klutz. A spaced-out klutz who was born to bound across the universe. “Your favorite, J-sweetie. Chocolate chip cookies.” She lifts a pan with a batch of cookies fresh from the oven. “Cool. Thanks, Mom.” I grab a cookie and head to Addy’s room. “Ever heard of knocking, B-wad?” Addy shoves her journal into her drawer and glares at me. I don’t blame her for not wanting to write on the webs. No privacy. She taught herself to print last year and keeps her journal hidden in her desk. “Whatever.” I hop onto her bed and curl up my legs. Maximilian Sheek, one of the famous quantum aeronauts, stares back at me from the poster above Addy’s desk. She’s obsessed with Sheek. Addy and all her friends stream EFAN—the Earth Force Affairs Network—on the webs constantly, hoping for a glimpse of him. We don’t talk at first, which is weird. For her. Addy is used to me being quiet, but she usually talks enough for both of us. “I saw a Tunneler on the air rail today,” I say. Addy doesn’t respond. Okay, that’s really weird. You don’t just run into a Tunneler every day. Chatty Addy should be all over it. She shrugs. Her face sags until her mouth pinches down. “It’s just so unfair, Jasper. How come you get to do everything first?” She twirls her gold-brown hair around her pinky finger. We have the same hair, except on her it’s long and wavy, and mine is lopped off at my ears and always falling in my eyes. Once the kids at school find out I’m a Bounder, they’ll know Addy must be a Bounder, too. They’ll know our parents are part of the Bounder Baby Breeding Program. Just like you need the right combination of genes to have a baby with blue eyes or red hair, our parents carry the dormant genes needed to have a Bounder baby. Being a Bounder is definitely a mixed bag. All the kids I know wish they could be an aeronaut—the next Maximilian Sheek or Edgar Han or Malaina Suarez. That’s why they think it’s totally unfair only Bounders can train to be aeronauts from now on. Dad says other kids are jealous. That’s why they say we’re freaks with abnormal genes. That’s why they call us B-wads. And trust me, it stinks. The kids at school call me a B-wad, and they don’t even know for sure I’m a Bounder. Yeah, they’re probably jealous. But they’re not wrong. I am different. A lot of the time I’m lost in space. Even when I do pay attention, I can’t translate half of what my teachers say into my schoolwork. And don’t get me started on my klutz factor. The other kids don’t seem to have any trouble. It’s like they were all there when the handbook for life was passed out, and no one saved me a copy. Does Addy feel the same way? I’m not sure. She always seems to have it together. A lot more than I do, anyway. Still, it might be rough for her once the other kids find out the truth. Addy has another year before she ships out to the space station. She has to wait through my first two tours of duty. I try to think of something to make her feel better, but I blank. Addy’s the one who always knows what to say. Dinner is awesome. Mom wins the kitchen gold medal. We have spaghetti and meatballs with sauce made from scratch, garlic bread slathered with butter and weighed down with greasy cheese, and more chocolate chip cookies, of course. No one says much. Dad offers up some compliments about Mom’s cooking, and Addy and I shout out our agreement in between chews. I mean, the food really is good. We’re mostly just busy eating. But the silence curls at the edges, like something is trying to get out. Something thick and dark and heavy, like the shadow that hung over Addy earlier. Tomorrow everyone will know we’re Bounders. Tomorrow I’ll be gone. The first tour of duty is only six weeks. I won’t be away that long. But when I come back, everything will have changed. I want to go. Really. I do. It’s just, things are pretty good the way they are. And everything about the space station will be new and different. What if the food is terrible? After I get ready for bed, Mom, Dad, and Addy show up at my door. Even though I vetoed tuck-in sessions two years ago, I give a special, one-time exception. Addy slides in beside me, and my parents sit at the end of my bed. Dad tells one of his classic made-up tales about Horace the House Mouse and his silly space adventures that Addy and I used to be obsessed with when we were little. After the story, Mom shoos Addy out of the room, settles me under the covers, and plants a kiss on my forehead. Dad kisses me, too, then lingers in the doorframe for a moment after flipping my light switch. Finally the door shuts, and I’m left alone. Three layers of blankets pile on top of me. It’s not cold, but I need the weight to fall asleep. I close my eyes, and I’m back on the flight deck. The sun’s glare off Admiral Eames’s medals is blinding. I can hear Mom and Dad talking in the living room. Too loud. I try to shut out the noise. Will it be this loud in the space station dorms? Will I ever be able to sleep? Mom’s voice swells as Dad urges her to whisper. Mom: But I don’t get it. What on earth are a bunch of kids going to do? Dad: We’ve been through this, Emma. Their minds are perfect for performing the quantum calculations. They’ll be better than the aeronauts at piloting the quantum ships. Mom: Come on, Richard. That doesn’t make sense. They use computers for the quantum calculations. Dad: Why can’t you let this go? We have two healthy, happy children. And Earth Force has assured us they’ll be safe. What more could we want? Mom: Healthy, yes. Happy, I hope so. But they’re not typical kids. You don’t understand about these conditions. The old medical journals talk about attention problems, sensory difficulties, social challenges, impulsiveness, and many other potential issues. Dad: I thought you told me Jasper and Addy didn’t have those conditions. Mom: I’ve said there’s a lot of variation. And Bounders aren’t typically the most severe. But one thing is sure: it’s a big deal to reintroduce these genes. Dad: How many times are we going to have this conversation? Mom: You know there’s something they’re not telling us! What are we sending our baby into? Baby? Please. Mom can be so dramatic. I pull the covers over my head and press my hands against my ears. That kind of talk has been going on for years, and usually, I just ignore them. But really? On the night before I leave for the space station? Are they trying to make me nervous? It doesn’t really touch me, though. Sure, part of me wants to stay here—safe at home with Mom and Dad, and especially Addy. But a bigger part of me wants to go. I’m a Bounder. I’ve always been a Bounder. I belong in space, bounding between the galaxies. I close my eyes. See the passenger craft lowering onto the flight deck. Grab Admiral Eames’s outstretched hand. There’s a knock at the door. What now? I ignore it. I figure it’s Mom, all emotional and wanting to give me another kiss my last night at home. The door isn’t locked. If she really has to see me, she can walk right in. The mattress sags near my feet. I pull the blankets off my face and scoot back on my elbows. Addy sits at the foot of my bed. Her purple pajamas have a rip at the left knee. She sniffs, and I can tell she’s been crying. Then I see what she’s holding. Her rosewood violin lies across her thin legs. Something wells up in me, too. Geez. I haven’t cried in forever. I can’t remember the last time we played together. I thought Addy was done with the violin. I pull my clarinet case from my closet and place it on the bed. I fit the pieces together and raise the reed to my lips. Addy draws her bow. She pulls, and a piercing hum fills the room. I join, finding a natural harmony, and we feel our way together through a haunting, melancholy tune. Addy leaves as silently as she came. I lay my clarinet in its velvet case and close the lid. I step toward my closet to put it away, then change my mind. I set the case on top of the duffel bags Mom packed for the EarthBound Academy. 1. Discuss Jasper’s friendship with Cole and Lucy and how those relationships developed throughout the story. 2. Why was Jasper’s choice to bunk near Cole instead of Marco important and how did it affect him? 3. How do Jasper’s feelings about his pod change over the course of the story? How do Jasper’s feelings about his role in the pod change? 4. Jasper didn’t get his first choice of pod leader. Discuss his disappointment and how his pod ended up better overall for having Jon Waters as their leader. 5. How is Jasper bullied in the story? How does that relate to any personal experience with a bully or bullying incidents you have encountered? 6. Compare the kinds of teasing that Marco and Regis did. Relate it to a personal experience. 7. Explain how Jasper felt about the food and tell why. 8. Different kinds of competitions happened through the book. Describe them and explain why each one was so important. 9. Would the kind of travel through space described and used in the book ever happen in reality? 10. What part did the game Evolution play in the story and how? 11. Marco’s character showed up early in the book. Did he change as the story progressed? Did other characters’ opinions or impressions of him change? Was he an asset or liability to Jasper and the other pod members? 12. A special kind of glove improved the way Bounders could travel. How did the gloves relate to the aliens and the choices made by the scientists about taking and using that technology? 13. What sorts of activities put the Bounders in danger? 14. Are Bounders always treated kindly in the story? Discuss situations in which a non-Bounder treated a Bounder unkindly. Discuss situations in which a Bounder treated another Bounder unkindly. Does this relate to ways people today might be treated—especially those who may appear different? Conversely, discuss situations where someone was particularly kind to someone else in the story. 15. How does the name-calling by others affect the Bounders and why is the name B-wad considered insulting? What is the consequence of using terms today that insult groups of people? 16. Would you personally like to be a Bounder? Explain the reasons why or why not. 17. Discuss the special relationship between Mira and Jasper and the different ways it developed. 18. Marco and Jasper broke the rules early on in the story and continued to do so, even including their pod in one activity. What rules did they break? What effect does the information they learned have on the outcome of the book? Is it ever acceptable to break rules and why? 1. Compare the technology used in the Bounders book with the technology in the book Astrotwins, by astronaut Mark Kelly. 2. Review the NASA site and look at living conditions and activities on the International Space Station (ISS). Compare life today on a space station with Jasper’s day and experiences. 3. Look up the life cycle of a star and make a diagram illustrating the various stages in it. What stage is our sun in currently? 4. Read about Kepler-186f and the characteristics that it has. Explain what conditions life needs to develop on another planet. 5. Predict what kind of situations and problems could arise if you were to write a sequel about Jasper, his friends, and EarthBound Academy. 6. Develop questions about right and wrong and lead a discussion about ways right and wrong were portrayed in the book. 7. Develop and design a space station of your own. Include some of the items found in Bounders, but address all the needs a space traveler would have in a space station. 1. What parts of the book help explain the concept of gravity and in what ways does the book’s explanation differ from the scientific concept of gravity? 2. Why did the Bounders feel gravity while on the spacecraft even though they were in space with zero gravity? 3. How are Bounders genetically different from the other population members? 4. Research the Human Genome Project and how the information generated by the HGP will be beneficial for science and technology development. 5. As gene science continues to advance, what might be the benefit of knowing information about your genes? Can you see any downside to this knowledge? How might we protect the information? 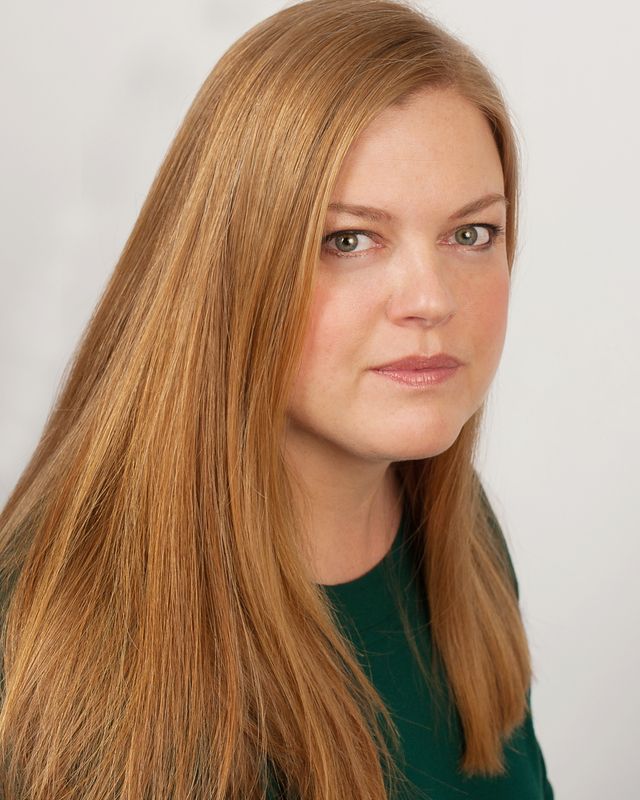 Who should make the rules regarding protection and disclosure? 6. In the book, genetic engineering is credited with both eliminating and later reintroducing the genes that create Bounders. Can you think of a real world example where this would be beneficial? Can you see any risks associated with using science in this way? How did eliminating the genes that created Bounders lead to problems for Earth? 7. In Bounders, the Paleo Planet showed a planet that was said to be similar to a long-ago Earth. What does the book say about the features and the life on it? Is it accurate to compare the life there with that of an early Earth? In what ways could they be compared? 8. Why would it be important for the Bounders to keep their hands off the animals in Paleo Planet? 9. Occludium was mined by the Tunnelers. How does this mineral resemble one of the existing elements we know today? 10. Explain why aliens existing in our universe might or might not be possible. 11. Part of Bounders takes place on a future Earth. How is Earth in Bounders different than Earth today? How are these differences important to the storyline? 12. Look up the distances of five stars nearest Earth and make a diagram or graph showing those distances. 13. Develop a simple food chain that might exist on the Paleo Planet. 1. Read about aquaculture and identify what is needed to do this successfully. Explain why aquaculture would be useful for space travel. 2. Take a virtual tour of one of the space stations. Identify the technology used in it. 3. Read this Canadian astronaut’s description of how it felt to launch. Compare and contrast it to Jasper’s description of his launch. 4. Look up the definition of quantum. How does it apply to the way the Bounders travel? 1. What kinds of problems must an engineer solve for a spacecraft to safely hold astronauts in space? Relate the design to issues that must also be addressed for reentry and in gravity when it’s on Earth. 2. Read about the gloves and how Jasper and his friends traveled. What engineering designs likely went into developing the gloves for space travel? 3. What was Gedney’s role in engineering and why were the Earth Force pod members in Jasper’s group fortunate to have him as one of their teachers? MP.2 Reason abstractly and quantitatively, MP.4 Model with mathematics. interpret the scale and the origin in graphs and data displays, HSN-Q.A.2 Define appropriate quantities for the purpose of descriptive modeling. 1. Military time operates on 24 hours rather than 12 hours. Determine an easy way to convert time back into 12 hours when using military time. 2. Look up the actual speed of light. Write and explain how FTL speed is explained in the book. Do you think spacecraft will ever go at that speed or higher? Explain your reasons. 3. The metric system is used in the book rather than the standard units we use in the US today. Look up how to convert metric to standard units. Look up your height and weight in metric units. Explain how the metric system differs from the units used in the US and what units are used to measure what. Guide written by Shirley Duke, a children’s freelance writer. 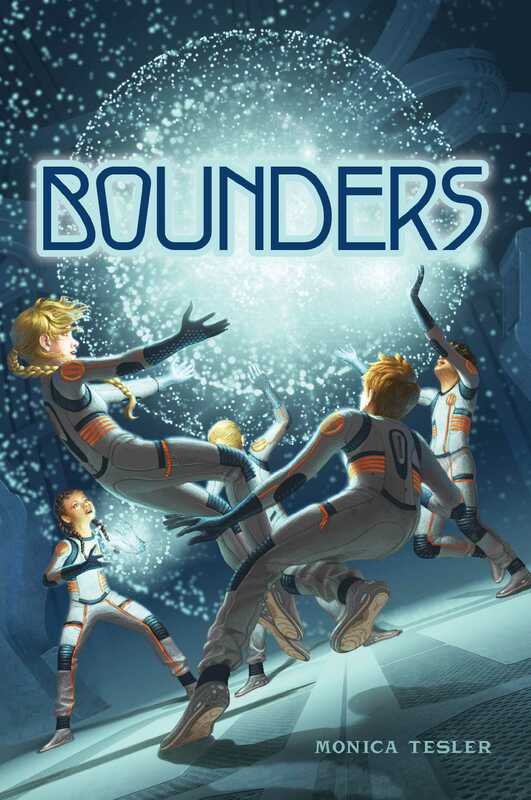 "Bounders is a joyful space adventure full of humor, friendships and action. This is a great sci-fi adventure for boys and girls alike. I had so much fun reading it!" "A richly detailed, highly imaginative world and a cast of clever, creative kids.Readers will be eager to bound into the next book." "A sci-fi space adventure sure to please middle-graders looking to get hooked on a new series." "While the story raises its share of ethical questions, it shines in its depiction of neurodiverse characters, especially Cole and Mira, as Tesler uses familiar SF conventions to show that kids with ADD, autism, or other conditions can be as heroic as anyone else."